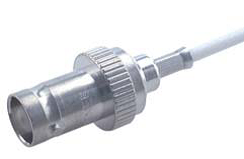 HUBER+SUHNER BNC is still a popular connector series, featuring a two stud bayonet coupling mechanism, which is particularly useful for frequently coupled and uncoupled RF connections with frequencies up to 4 GHz. 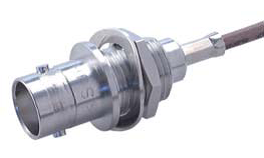 50 Ω BNC connectors and 75 Ω BNC connectors are intermateable without any restrictions. Commswest Distribution have a large range of HUBER+SUHNER BNC connectors to suit most of the recommended cables including crimp and solder types. The connectors pictured below are only a small example of what is available. Please Contact Us with your requirements so we can recommend the suitable connector. 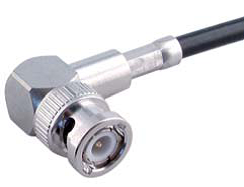 For any further technical information or datasheets on this range of connectors, please Contact Us.